The aesthetic beauty of Islamic art is underpinned by geometric proportion and balance. Muslim builders and artisans knew of the “inner laws” in constructing spaces and patterns. The relations among various parts can be seen everywhere in ancient buildings designed with particular care, exhibiting mastery in pattern design of their spaces and surfaces. 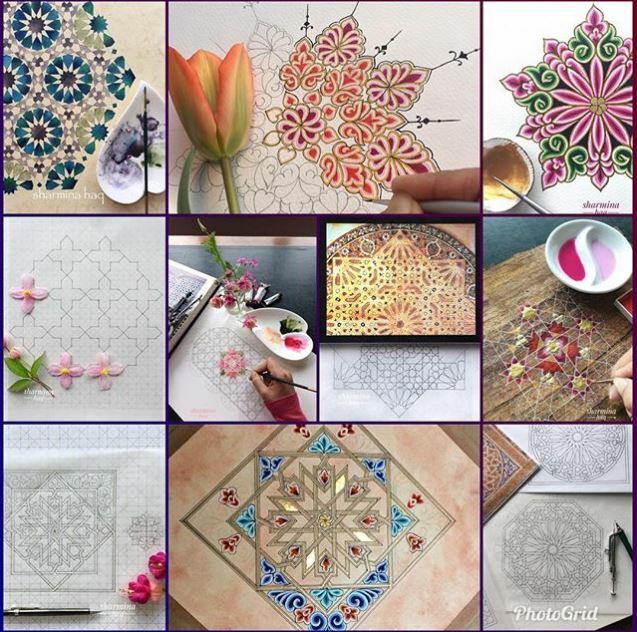 Join this workshop to understand the hidden order of Islamic geometric patterns. The course is suitable for beginner and intermediate levels and participants will re-create a geometric composition and decorate with watercolours and other mediums. Materials are not covered by the course fee. Some materials will be provided by the tutor. The approximate cost of these will be £4 payable to the tutor during the course. The tutor may not have the facilities to take card payments for materials in the workshops. Please remember to bring cash or your cheque book.